Lots has changed since we first published this page on rap anchors (lower-off's) in the early 2000s. Now, being 2016, we thought it prudent to update this page to give you the best information about current best practice. Previously, being dirtbags, cost was a large factor in rap anchor selection. This led to us suggesting a variety of anchors which, now, we would not recommend. Lower-off's must be made from stainless steel at a minimum grade of 316SS (the UIAA produced a report in 2015 which states lower grades of stainless not be used in outdoor environments). 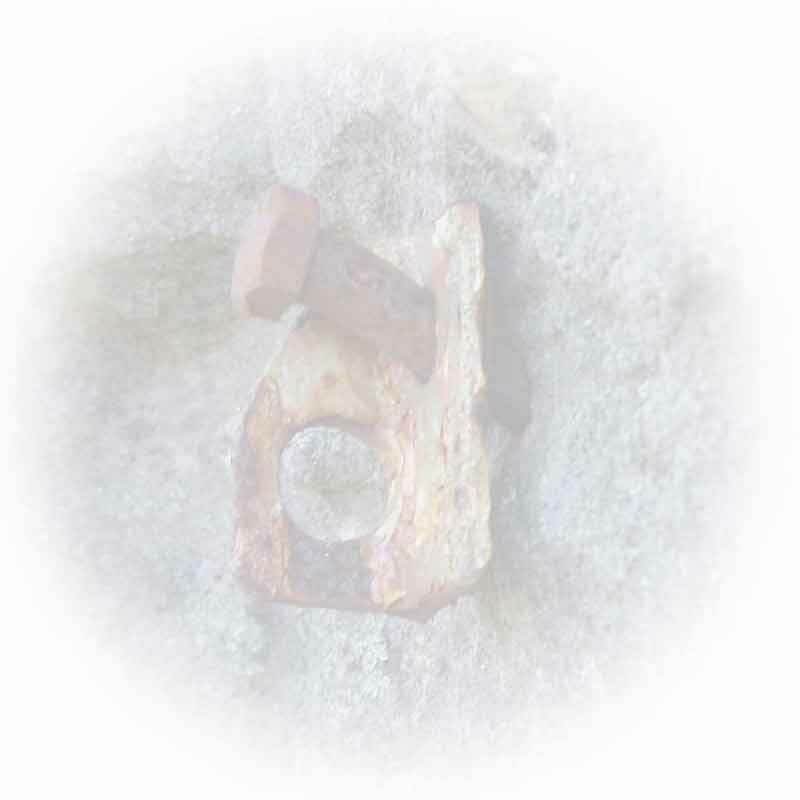 Lower-off's in coastal or corrosive environments should be made of titanium. "Just tell me what to place!!" 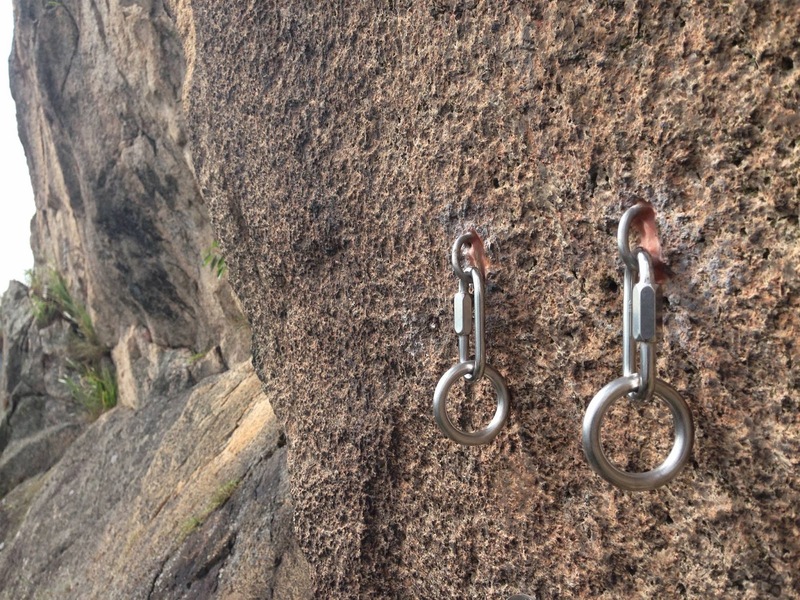 We recommend you learn more about the various configurations and options by reading our article Climbing Anchors - The ideal sport route lower-off? Old school theory - NO LONGER RECOMMENDED! Lower-off components can be made of non-stainess steel. No, 316SS is the minimum standard now. If you place substandard anchors, expect to have them chopped. Lower-off's must be equalised. No, a redundant lower-off (see example) is just fine, and often twists the rope less. 304 stainless steel is fine, especially in non-coastal zones. No. The issue of stress corrosion cracking (SCC) and failing bolts is becoming more common across the globe. The UIAA now universally comdemn 304 SS for any outdoor placement. We need to stop using it. Twist shackles and D-shackles are good to use because they are replacable. No. They tend to flip upside down which can cause the pin to undo during lowering, causing a complete failure and death. Use mallions with spinning rings instead (see example).